It appears the otter family dynamics are changing on the river. We suspect the adult female has now abandoned her fully grown young. We’ve not seen them all together for over a month. However, the 3 cubs remain close by – and we have watched them often around two rest areas. 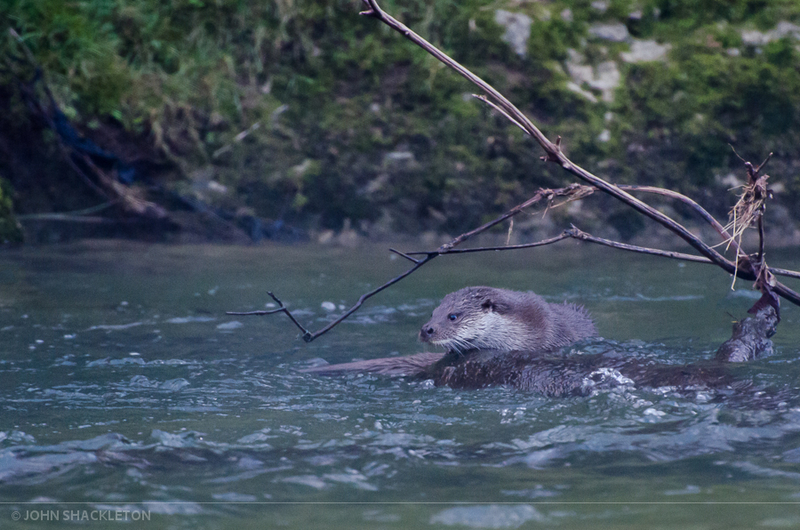 We’ve also seen a lone male otter – almost everyday for the past 2 weeks. Initially its routine was sporadic – even swimming down river, through the town at 2pm. After many early morning starts, we’ve now found a pattern. The otter heads up river between 7 and 8am, almost like clockwork (though predicting a good spot to photograph them is another matter). It has a distinctive white beard, making him slightly easier to identify. The low winter sun in the morning is proving to be a problem, but with the shots below – fog and poor light were the biggest challenge. 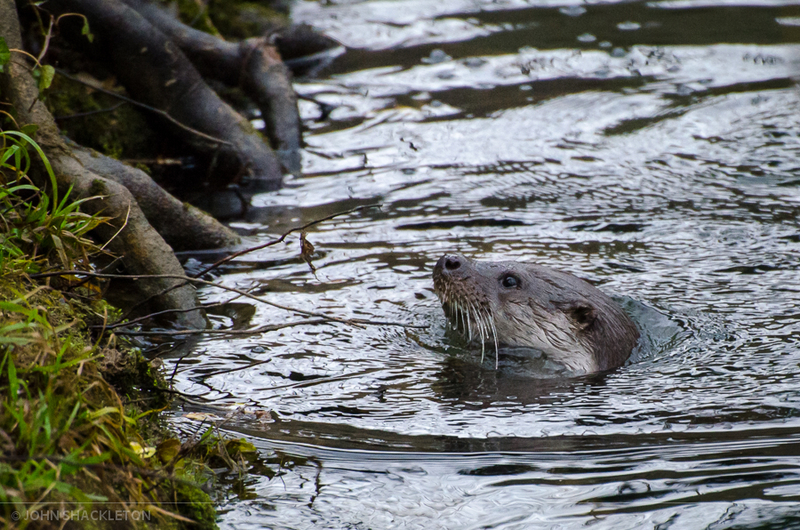 As I stood on the river’s edge, two otters passed within 2 metres. They left a trail of bubbles and I could clearly see them beneath the surface. 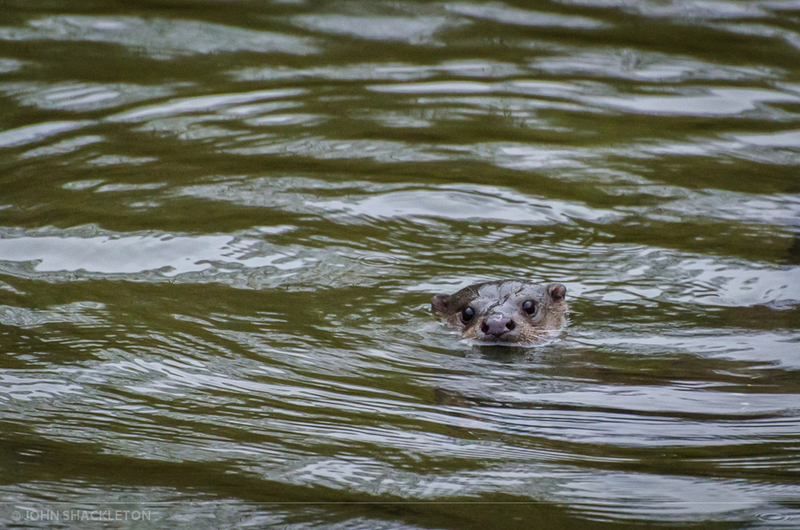 This otter swam a further 20 metres before stopping to take a look back. One of two young otters. They were calling to each other with a high pitched whistle. This one is watching Belinda on the riverbank above, unaware I was hidden a little further up river. Thanks Carlos. I have some more to publish later this week!